30 watts of power used for 120 watts of equivalent incandescent light output. 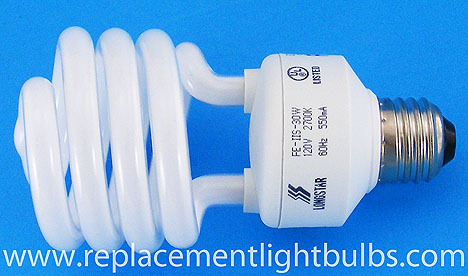 Maximum Overall Length: MOL 5.28"
Replaces ten 1,000 hour regular 120W light bulbs. 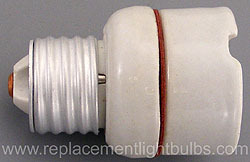 Warm white is typically used for residential lighting.